This is easily the biggest misperception about bankruptcy that I hear from people. The idea that if you file a bankruptcy (either a Chapter 7 or Chapter 13), your ability to regain or reestablish credit is completely gone. Undoubtedly, this misperception stems from all the misinformation that creditors give out. When a collection agency or a creditor calls you in the middle of the day (or early in the morning, late afternoon, just after dinner, a little bit before you put the kids to bed; I’m sure many of you have noticed that they never stop calling), and you tell them that you are contemplating bankruptcy, the creditor will start telling you every horror story that they can think of in an attempt to discourage you from filing. That you’ll lose your car, that you’ll lose your job, and the biggest zinger of all: that if you file for bankruptcy, you’ll never have a decent credit score for the rest of your life. That last zinger (“that you’ll never have a decent credit score for the rest of your life”) is by far the biggest concern for most of the people I see. And it makes sense. I mean, if you are going to file a bankruptcy (either a Chapter 7 or Chapter 13), what good is it going to do if you can’t at some point get a decent credit rating? Yes, you can reestablish your credit (and a lot sooner than you probably think). But let me start by saying this: the government describes bankruptcy as a ‘fresh start, clean slate.’ It’s a chance to wipe the slate clean, pick yourself up, dust yourself off. What that means is that once the court discharges your debt at the end of your bankruptcy (again, in either a Chapter 7 or Chapter 13), it’s like starting all over again fresh. No more debts, no more credit cards, no more medical bills, no more payday loans, etc. All the debt disappears, and the court presses the ‘reset’ button. Once you receive this discharge (which for a Chapter 7 would be immediate, and in a Chapter 13 would be at the end of your repayment plan), the opportunities to improve or rebuild your credit are going to be immediate. And how long it takes you to rebuild is up to you (it just depends on how aggressive you are about it). I’ve filed Chapter 7s for clients in the past, and a year and a half later they are buying a home, buying a car, and enjoying credit scores like they’ve never had before. But again, that’s the whole point. To put you in a position where you can begin to rebuild your credit, your finances, and your life. A literal fresh start! Relief of this kind is possible through the filing of a bankruptcy. 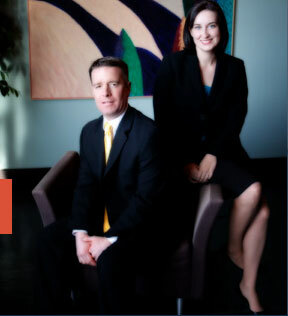 Speak to an experienced St. Louis bankruptcy attorney today. Phone and office consultations are free of charge! Call today!